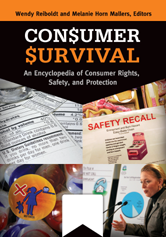 Designed to empower readers to advocate for themselves and others, this wide-ranging encyclopedia reveals a surprising range of resources and options that consumers have at their disposal. CARU (Children's Advertising Review Unit). Children's Advertising Review Unit (CARU). Fair Isaac and Company (FICO). Federal Deposit Insurance Corporation Improvement Act. Identity Theft and Assumption Deterrence Act. IIPPA (Insurance Information and Privacy Protection Act). National Institute of Occupational Safety and Health (NIOSH). National Traffic and Motor Vehicle Safety Act. OSHA (Occupational Safety & Health Administration). SNAP (Supplemental Nutrition Assistance Program.